Momentum has appointed Deirdre Eogan as principal consultant within its specialist transport planning division. Based in Dublin, Deirdre is a geography graduate and holds a Masters in Regional and Urban Planning from University College Dublin. She is an experienced transport planner, chartered town planner and member of the Royal Town Planning Institute. She has project managed a broad range of commercial development projects and works closely with clients, multi-disciplinary design teams and stakeholders to deliver sustainable transport solutions. 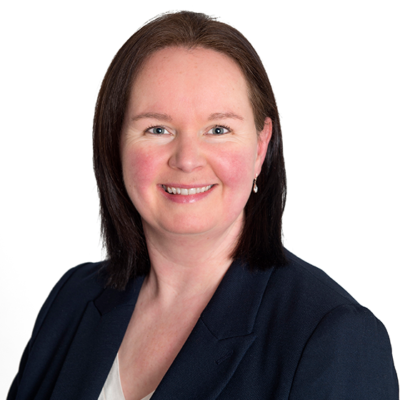 Deirdre specialises in transport impact assessments to assess the impact of development proposals on transport networks, covering all modes. Deirdre has also prepared and helped organisations to implement travel plans to encourage travel behaviour change towards smarter travel. In her role at Momentum, she will focus on advising Momentum’s existing clients as well as growing Momentum’s portfolio of work in Dublin. “Deirdre is a very welcome addition to Momentum’s team. Her experience will be of great value to our clients who choose to appoint a specialist transport planner to their projects. She is a great complement to Momentum, adding to the expertise already within our team which enables us to continue to provide the highest quality advice to clients and to take our services to a new portfolio of clients and projects in Dublin”. Momentum is a leading integrated, people-first transport consultancy. Founded in 2012 the company creates transport strategies and solutions that inform, integrate with and are integral to every aspect of the built environment today and for the future. Focusing on the emerging, universal and critical issues facing development Momentum works with clients to address the multi-faceted challenges of the industry and to create forward-looking solutions. The company’s three core areas of specialism in planning, insight & analytics and engineering are bound together by a shared vision to improve the environments we live, work and play in. The company works in markets including commercial, cultural and heritage, education, major events, masterplanning, public realm, residential, retail and stadia and venues. Photo shows Deirdre Eogan, November 2018.